Libya is considering a deployment of international force to re-establish security amid a flare-up of violence in Tripoli which saw dozens of rockets destroy most of the civilian aircraft fleet at its international airport. The “democratic tomorrow” promised by NATO in 2011 has been realized – that is – in the form of predictably fraudulent elections accepted by no one, leaving a power vacuum apparently to be settled through increasingly violent armed conflict. Perhaps most ironic of all is that these conflicts are being waged between NATO’s various armed proxies it used to carry out the ground war while it bombarded Libya from the air over the majority of 2011. 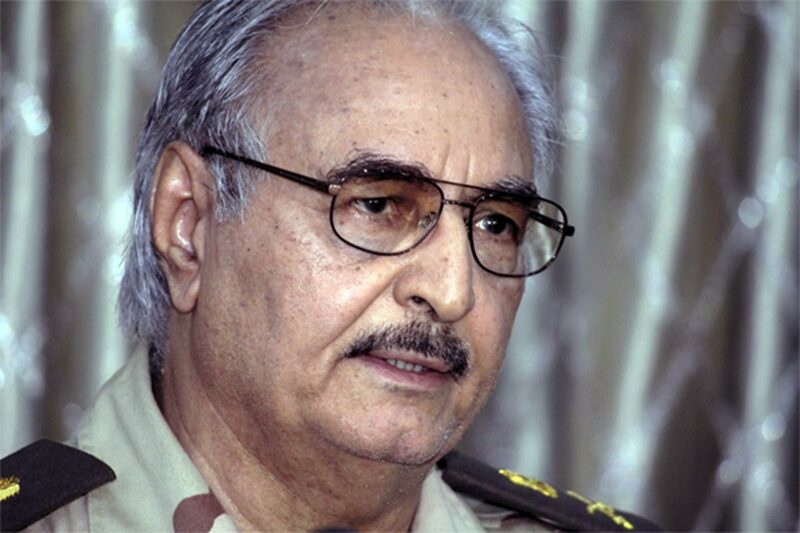 The self-declared Libyan National Army led by a renegade general told civilians on Saturday to leave parts of Benghazi before it launched a fresh attack on Islamist militants, a day after dozens were killed in the worst clashes in the city for months. The irony is that many of the sectarian militants Hafter was fighting in Benghazi were the same militants Muammar Qaddafi was fighting for decades as leader of Libya, and the same militants that NATO armed and abetted alongside Hafter in the overthrow of Qaddafi in 2011. Since the fall of Tripoli, Sirte, and other Libyan cities that resisted NATO’s proxy invasion, little in the way of basic stability, let alone the “democratic revolution” promised by NATO and its collaborators, has returned to Libya. The government in Tripoli remains in chaos, its security forces divided amongst themselves, and now a “rogue” CIA asset is conducting a full-scale military operation against Benghazi, including the use military aircraft, apparently without Tripoli’s approval. Years after the “revolution’s” conclusion, Libya remains a hobbled nation sliding backwards. The many achievements of Muammar Qaddafi’s government have long since been undone, and it is unlikely they will be restored let alone surpassed in the foreseeable future. NATO has effectively upturned and destroyed an entire nation, leaving it to not only burn while Western corporations pillage its resources, but to use as a template for future extraterritorial adventures in Syria, Egypt, Ukraine, and now Iraq. Just as in Libya, “revolutions” have tried to take root in Egypt, Syria, and Ukraine. The same narratives, verbatim, crafted by Western policy think tanks and media spin doctors for Libya are now being reused in Egypt, Syria, and Ukraine. The very same non-governmental organizations (NGOs) are being used to fund, equip, and otherwise support opposition groups in each respective country. Terms such as “democracy,” “progress,” “freedom,” and fighting against “dictatorship” are familiar themes. The protests were and are each accompanied by heavily armed militants also fully backed by the West. In Syria, the pretense of protests has been dropped as has the notion of “freedom fighters.” The Western media now spends much of its time spinning and justifying why NATO and its regional partners are funding and arming sectarian militants, including Al Qaeda, in the overthrow of the Syrian government. In Egypt, there is still some ambiguity, as there was in 2011 regarding Syria, as to who the protesters really are, what they really want, and on which side of the increasingly violent conflict playing out there the West falls. Careful analysis reveals that just as the Muslim Brotherhood was used in Syria to set the stage for the now devastating war raging there, the Egyptian Muslim Brotherhood is doing likewise against Cairo. Finally, in Ukraine, the “pro-democracy” “pro-European Union” “Euromaidan” protesters have been revealed as Neo-Nazis, ultra-right, and nationalists who regularly resort to violence and political intimidation. Just as in Syria in 2011, and in Egypt now, low intensity armed clashes are increasing in frequency and intensity toward what may end up as a proxy war between NATO and Russia in Eastern Europe. But for these three nations, and the participants on all sides, Libya’s current state must be examined. These “revolutions” have but one logical and predictable conclusion – the plundering, division, and destruction of each respective nation, before it is folded into Wall Street and London’s growing supranational order to be exploited indefinitely as much of the US, UK, and EU already are today. For those wondering what will become of Egypt, Syria, or Ukraine, should NATO succeed, one needs only to look at Libya. And for those that supported the “revolution” in Libya, they must ask themselves if they are they satisfied with its final outcome. Do they wish this outcome upon Egypt, Syria, and Ukraine as well? Do they imagine that NATO’s plans for each of these countries will end any differently? Why?